It's difficult to imagine it now, but Castlebay was a herring port of some significance back in the nineteenth century, with up to 400 boats in the harbour and curing and packing factories ashore. During the mid-years of the 19th century a thriving fishing industry developed in Barra. There were no less than forty fish-curing stations in Castlebay, and during the season there was an influx of hundreds of "gutting girls." It was said that there were so many fishing boats in the bay that "one could walk dryshod from Barra to Vatersay." However, the 1940s saw the end of the last efforts of the last curing station in Barra. In the 1960s, with Government help, people began to buy boats and fish again. 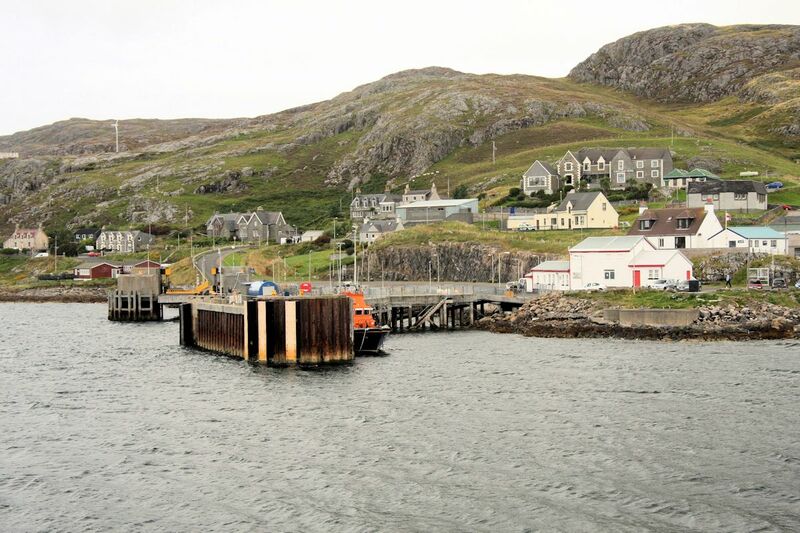 It is now a ferry terminal, linking Barra with Oban on the mainland.